Photo editing or image post-processing is not a choice but a necessity for every photographer who takes their work seriously. Just like mastering your camera skills, knowing how to edit pictures requires investment in your time and effort. Why should you spend so much time in photo editing? The human eye sees light (exponentially) differently from the camera (linear). Because of that, how your image looks is often (I say probably 90% of the time) very different from what you actually see. In order to translate the perceived three dimensional world onto a two dimensional medium, an image needs to undergo post-processing. Also, some of us who are more artistic like to incorporate that into our work. Editing is where you can let your creativity run wild to create the world you envisioned. A chef does not serve RAW food, a photographer should not serve RAW files. Makes sense so far? So let’s all jump on board! But wait...where and how do you learn photo editing? That’s the commonest question people ask. Photo editing is an umbrella term that covers a wide range of topics. If you dive right in without knowing what you’re looking for, you’ll be drown with information overload, which will possibly put you off even before you start. 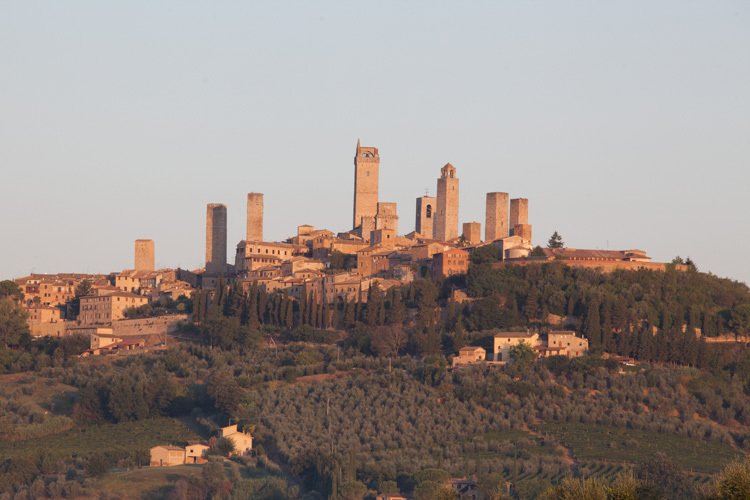 Have a deeper understanding in image post-processing than most people do. Know how to professionally edit photos in any image editing software. Know how to take the next step to level up your editing skills. Before we dive in, I want to clarify that this tutorial doesn't cover all the technical aspects of how to edit photos in detail. The aim here is to provide you with the fundamental knowledge so you have the skills (and hopefully motivations!) to develop your own photography style (more explanation below). 1. What Is Photo Editing and Post-Processing? 3. What Software Should You Get? 4. 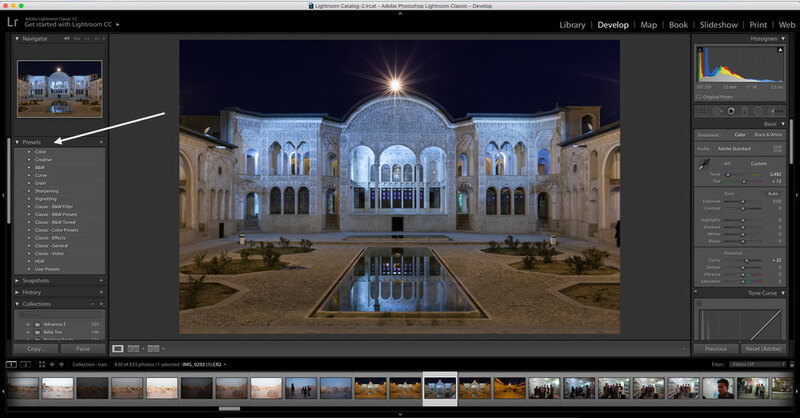 What Is The Best Photo Editing Software? 10. How Much Editing Is Too Much? These two terminologies are often used interchangeably. As the matter of fact, they are if you search by definition. But I’m going to be very particular here! From a technical perspective, these are two different processes in photography. However, for the purpose of simplicity, We’ll use the word “edit” to cover both culling and post-processing. When we say “edit image”, we often mean culling. This is basically the stage before post-processing or pre-post-processing. In culling, you visually examine a batch of images quickly to identify what is usable and what is not. Images with technical fault (e.g. out of focus, blurry due to camera shake, etc.) are not usable so these are removed from the folder. This process separates the wheat from the chaff and allows you to focus entirely on the images that deserves your attention. Dedicated culling software allows you to work more efficiently. 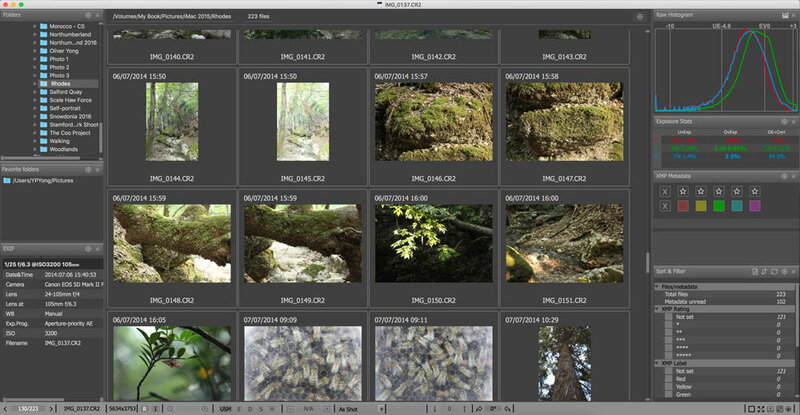 You can do this in software such as Adobe Lightroom, Darktable, Rawtherapee or any software that allows you to organize photos. There are also software specifically designed to cull images more efficiently such as FastRawViewer. This refers to the actual process of applying adjustments to your image. This includes corrective adjustments and creative adjustments (explained below). Photography is 25% camera, 70% editing and 5% of luck. Ever noticed some photographers have a certain theme or mood in their photos? This is their photo editing style or photography style. It’s something you’ll develop as you gain more experience in the field. Even though camera skills play a part, most of your photography style comes from the way you edit your photos. Your style will also evolve over time. This means what you think looks good now may not look good to you in the future and vice versa. For that particular reason, I encourage you to keep all your photos (obviously not the ones with technical fault). Save them in an external hard drive and re-visit them from time to time. What you’ll soon find is old photos that are edit-worthy! I called this editography. Check out this article to read more about it. Photo editing in digital photography is all about the software. You want to pick a good photo editor that can make full use of all the information captured in Raw files. By the way, you should always set your camera to capture in Raw file. Read more about why you should in this post. Although there is only a finite number of software you can choose from, making a sensible decision can be challenging sometimes. In general, there are free and paid image editing software. These can generally be grouped into web-based software and open source software. Web-based software are basically free picture editing website that allows you to upload your photo to the site, apply any adjustments that is available and download the edited photo back to your computer. Apart from being free, these online editing tool are pretty restricted in what you can do and I wouldn’t recommend using them if you are serious about photography. Open source software is a slightly different story. Open source means anyone is allow to use the software’s source code to develop and improve it. An open source software requires you to download and install in on your computer just like any software. A good free photo editing software is GIMP and this site has fantastic tutorials to get you started. These require you to pay a fee in exchange for the software. A premium image editing software costs somewhere approximately between $100-300. A well established one is Adobe Photoshop. It caters not only for photographers but also for graphic designers, visual artists, etc. It is considered the gold standard software in the industry for visual content. I hate to disappoint you but there is no such thing as best image editing software. What suits others may not suit you and it all depends on what you want to get out of post-processing. If all you need is basic corrective adjustments (explained below) for your photos, then an online image editing tool may be suffice. But if you like to be more creative in your work, consider getting one of the premium software. For a guide on what photo editor is available out there, check out this list. How to edit your photos? One of the challenges I had when I was a beginner was not knowing what to do when I opened up my photo in a photo editor. I knew I needed to make it look nice, but I had no clue where to start. Somehow I always ended up adjusting the contrast and saturation only. If you can resonate with me, then I have good news for you! Photo editing is simple and fun 🙂 I know you probably don’t believe me right now so let me convince you. Corrective adjustments are the most basic adjustments you can apply to an image. It’s called “corrective” because you’re correcting any “imperfection” inherited by the photo from the camera settings, lens and how you compose the image. Why bother to do these? Believe me, it does make a significant difference to your photo. Making sure it is straightened, removing the lens distortion and a quick color correction may be all it takes to make your photo pop. Plus, it takes less than five minutes to do all that. There is really no reason not do it! Personally, I always do my corrective adjustments in Lightroom. I also always start with these before I do any tonal and color adjustment. Apart from Lightroom, corrective image editing tools can be found in most image editing software these days (maybe not online photo editing tool). Once you have done with corrective adjustments and you’re happy with how it looks, you can stop here. This is absolutely fine and many people like to keep their photos as natural as possible. Having said that, you can add some creative adjustments to make your photo pop even more while maintaining its natural look. Photo editing is subjective and everyone interprets the aesthetics of an image differently, so it’s up to you how deep you want to go down the rabbit hole. I categorize creative adjustments into four main categories: tone, color, black and white conversion and stylization. 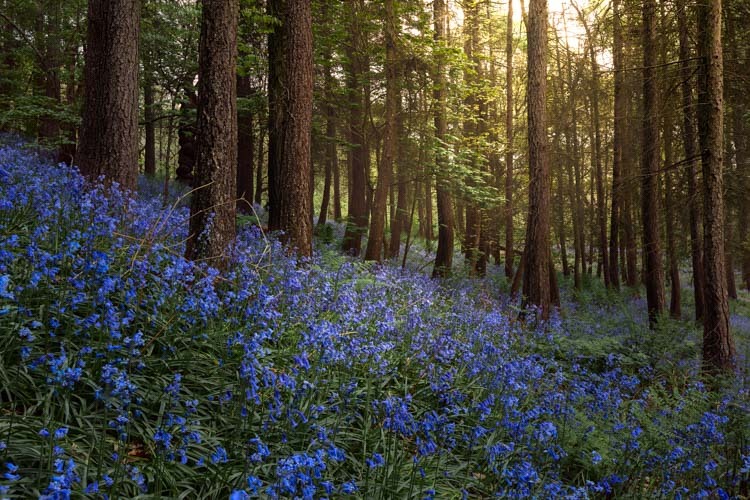 Tonal and color adjustments are the most common adjustments one can apply to an image. The commonest (and the most basic) tonal and color adjustments are contrast and vibrance/saturation. We’ll dive into the details a bit more in the "how to" section below. Black and white conversion, although sounds simple, is another form of art and a topic on its own. To learn more about black and white, check out this comprehensive guide. Lastly, stylization is where you can let your creativity flourish. You can accentuate lights, shadows, mood and feel of your photo in any way you can imagine. The possibilities are only limited by your imagination. To give you a few examples, you can accentuate the highlights and shadows with dodging and burning, enhancing the light and its color with light bleed or make the image glow to create that dreamy look with the Orton effect. In the image above, I did dodging and burning to the tree trunks to enhance the lights and shadows. I also accentuate the light coming through from the above. One of the reasons why people feel clueless about how to edit pictures is because they don’t know what they want to achieve. This was exactly the problem I faced at the beginning. What I would encourage you is to have a rough idea in your mind. Look at your photo and picture it in your mind how you want it to look at the end. What is the message, story or feel you want to convey to your audience. The more details you can think of the better. Representational means the image you created is a reflection of what you actually see in real life. In other words, what you see is what you get. No fantasy, no “photoshopping” work here. Impressionistic is where you leave the realm of reality behind and let your creativity and emotions take over. How did you feel when you took that shot? What was the mood like? You can inject these emotions into your image by manipulating tones and colors. The result may not look exactly like what it should in real life but it sure has your personal touch in it. To be even more creative, you can transform your image into an abstract by blurring the perceived reality. You can achieve this in camera, editing or a combination of both. 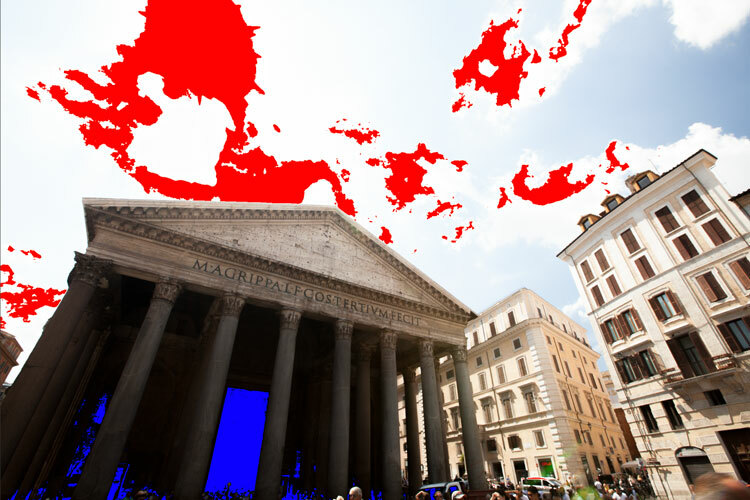 If you’re using Photoshop, visit the Filter Gallery and try out the effects there. Global adjustments refers to any kind of adjustments that is applied to the entire image. Local (you’ve probably guessed it by now), refers to adjustments that only affect part of the image. Historically, adjustments can only be applied to the entire image. But with the advancement in post-processing technology, the effect can now be confined to only the part that you want. This has now become the norm in photo editing rather than a luxury. Selective local adjustment is obviously the preferred method because you can enhance different parts of the image with different adjustments. 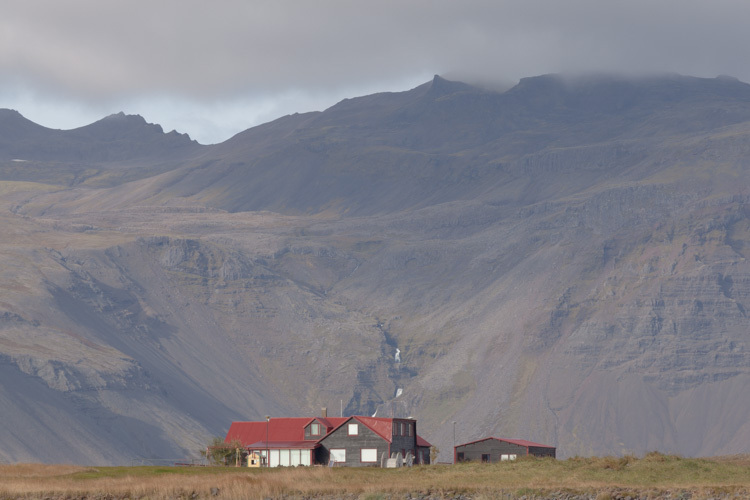 For example, when you want to reduce the brightness in the sky, you can make it to affect the sky only without affecting the brightness of the foreground. This is made possible by “targeted adjustment tool”. The principle is that you select the tool, click and hold on the part of the image you want to apply the adjustment and drag the mouse up/down or left/right to increase or decrease the effect. This can be either tonal or color adjustment depending on what adjustment tool you have selected. 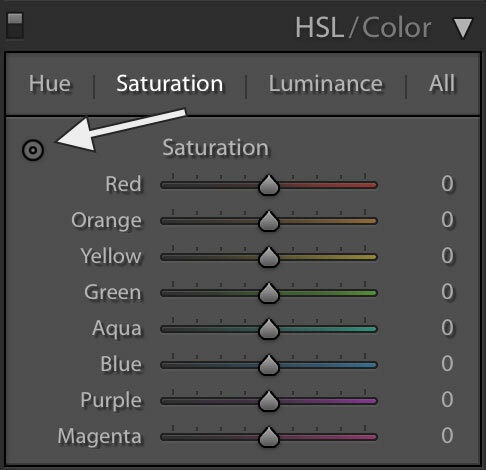 In Adobe Lightroom, the HSL (hue/saturation/luminance) panel is a good example and a great way to adjust colors selectively. In addition, you can use the Adjustment Brush or th Radial Filter to apply a range of adjustments to a specific area in the image. Similarly, Adobe Photoshop offers the ability to apply selective local adjustment via its powerful layer masking. It’s quite impossible to cover everything under the sun about photo editing in this tutorial, but I’m going to show a few photo editing tips for beginner to help you get started. The photo editing techniques I’m going to walkthrough here with you are pretty much “generic”. This means these are so popular that you can find them in most image editing software. They may not all look the same but the principle is. 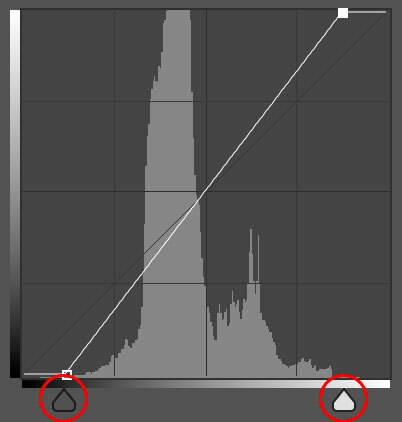 Before you start to learn how to edit images, you must know how to read the histogram! Otherwise none of these is going to make sense. 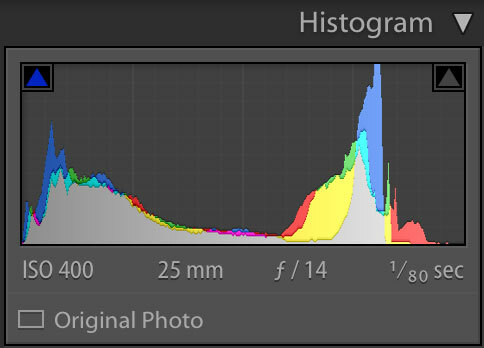 Apart from the metadata, histogram gives you the most useful information you’ll ever need to know about your image. I know histogram looks like something from a share trading analysis, but don’t be intimidated by the graph. It’s actually very simple to understand! LCD screen always displays the image brighter and more contrasty than it actually looks. The exposure is almost always different when you view it on the computer screen. Image displayed on LCD screen doesn’t give you any objective information if the image is over or under exposed. 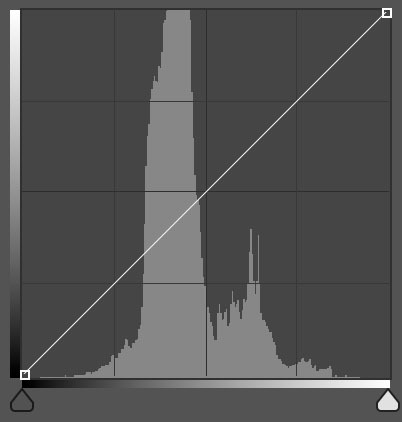 I encourage you to master how to interpret histogram. This article walks you through the fundamentals of histogram and this one dives deep into the subject. If you’re looking for more after corrective adjustments, my first photo editing advice for you is to start with Exposure, Highlights and Shadows adjustments. Exposures is pretty self-explanatory. It changes the exposure value of your photo. Instead of increasing or reducing exposure at one or half a stop EV (exposure value) like in your camera, you can fine tune it here down to 0.01 EV. Highlights tool adjusts the brightest part of the image by increasing or decreasing its brightness. It’s often used to recover details lost in areas with highlights clipping. 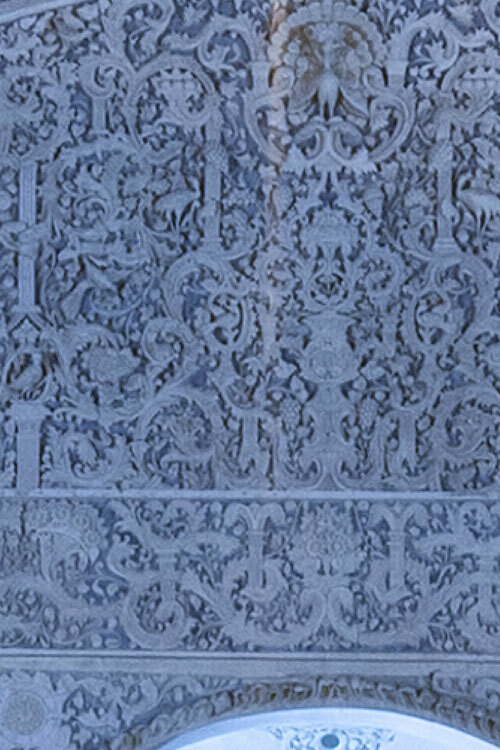 Clipping occurs when the brightness (or darkness) exceeds what your camera can capture. A clipped area shows pure white or black with no details in it. Shadows is the opposite of Highlights. It adjusts the darkest part of the image by increasing or decreasing its darkness. Similarly, you can use Shadows to brighten up dark areas to reveal details. These are pretty much universal in most image editing software. You just need to find where they are located. Curves probably exists in almost all image editing software. Why? Because it’s one of the most powerful editing tools with the ability to apply both tonal and color adjustments. Have you ever seen ads on Facebook or anywhere else where they promote presets that make a dull photo pop? You may think it involves some kind of advanced Photoshopping skills but it’s actually dead simple (like the image below). And the best thing is...it’s all done in Curves! Take the photo I just showed you above. A photo looks dull because it has low contrast and that means it hasn’t make full use of its dynamic range. 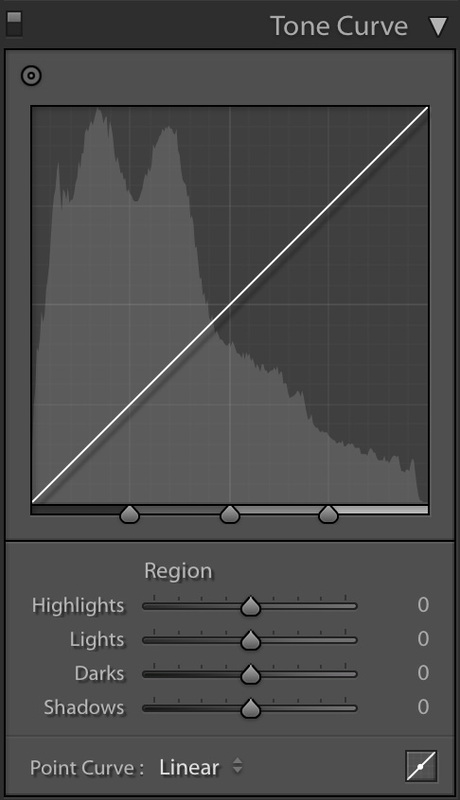 You can judge this by just looking at the histogram. Boosting contrast is simple, all you have to do is redistribute the pixels across the dynamic range with Curves. There are two ways to do this. Once you’re in the Curves adjustment panel, visually draw two dots across the line in such way it divides the line into three segments with equal distance. Then, move the dot on the right up and the dot on the left down. Your photo will pop instantly! The second method is to look at the histogram in the Curves panel. If there is a gap between either side of the foot of the graph, move either the white or the black arrow inwards and stop as soon as you hit the beginning of the graph. 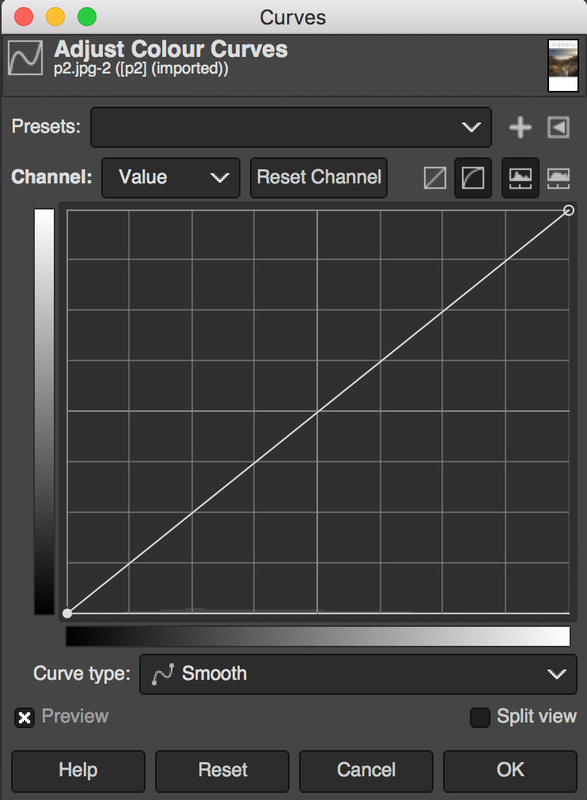 This is the most basic adjustment you can use the Curves tool for. To learn more about how to edit image with Curves, check out my video tutorial on Curves in the Photoshop Video Library. Of all the many ways of edit photos, Clarity is the one that gives your image the instant “wow factor”. It works by increasing the contrast in the midtones only. It makes your image pop and gives you the illusion that it looks sharper. Use Clarity to add oomph to your photo but do it sparingly. Excessive amount of Clarity can turn your beautiful image to look like a grungy HDR. After all the tonal adjustments you have made, consider giving the color a boost. A quick way to boost colors in your image is via the Vibrance or Saturation adjustment tool. Personally, I increase vibrance only and sometimes even reduce the saturation. That’s just how I edit my photos in my workflow. Saturation boosts all the colors in the image and I would strongly suggest you to go easy with the slider. Photos with high saturation are never a good thing. Vibrance, on the other hand, boost only the muted colors. In color theory, when you add black to a color, you’re “shading” a color to make it look “muted”. The effect with Vibrance is more subtle and visually pleasing. If you’re into portraits, Vibrance is what you want because it doesn’t (or less) affect the color of skin tone. 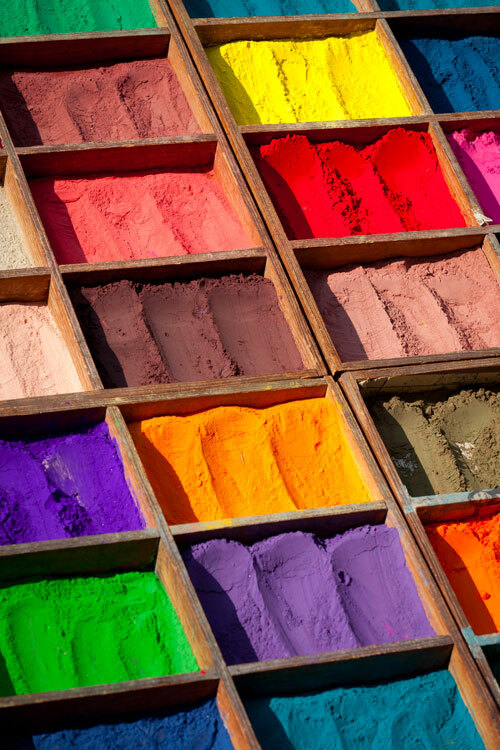 Vibrance and saturation are part of color theory. To learn more, check out my practical guide to color theory for photographers. 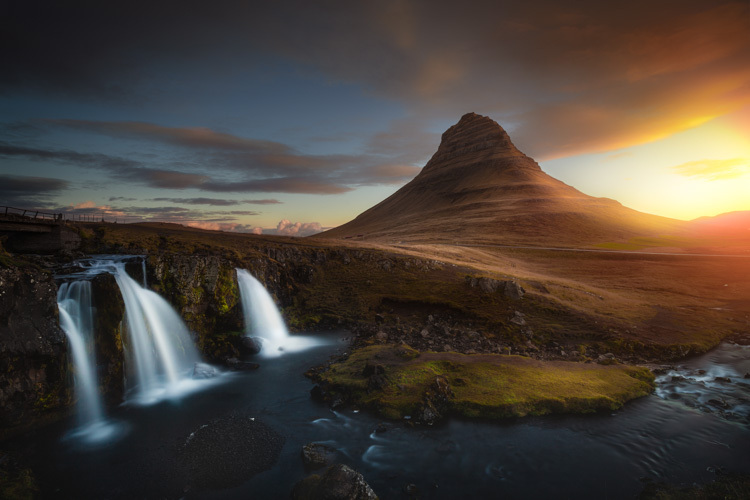 Like I said before, the aim of this tutorial is to provide you with a guidance and photo editing ideas (and some quick tips on how to edit in Photoshop) to help you kickstart your journey in image post-processing. I promise you’ll see a big difference in your photos if you do the photo editing steps I just explained above. There are many more ways to edit an image and it’s totally up to you how far you want to go. Want more advanced photo editing tutorial? You can first check out the my tutorial section and blog where I have many more photo retouching tips. Look around on social media and you’ll notice people talking about applying filters to their photos or using presets to edit image. It’s like a culture or even a new era in photography. But what are these really? Both are similar but my personal opinion is you can edit the individual settings in presets but you can’t do that with filters. As you begin to edit image more often, particularly when you’re editing images in batch, you’ll realize that photos that share the same camera settings and lighting condition have the same post-processing adjustments. 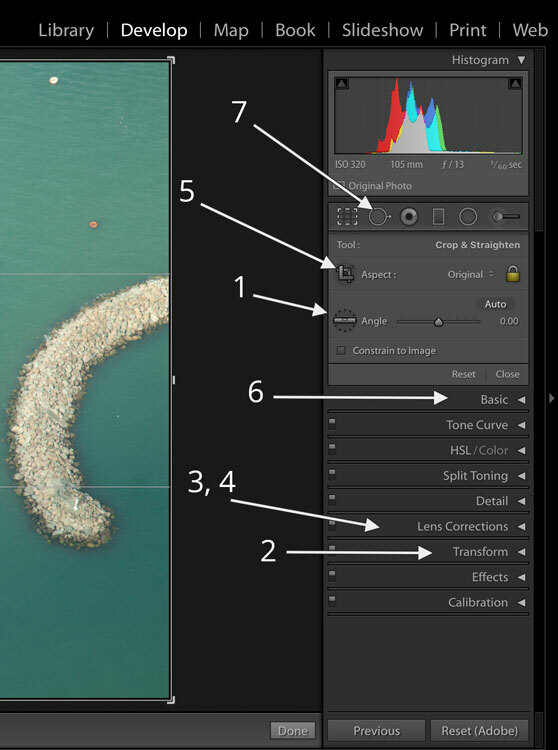 This means you can apply your adjustments in one photo and repeat it in the rest of the batch. 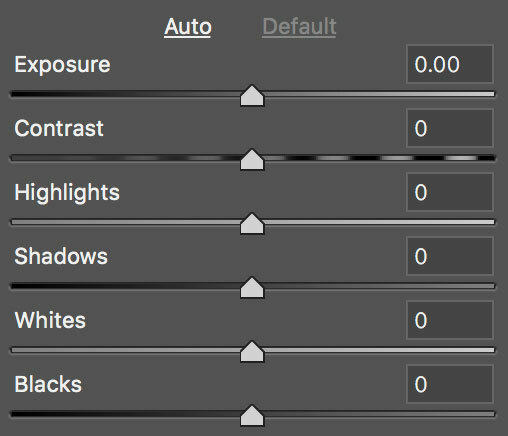 You save all the adjustments you’ve applied into an action file which is also commonly known as “preset” (or photoshop actions in Photoshop). You take this preset and apply it to another photo of the same scene, maybe you have to tweak some adjustments a little. This saves you from starting over again and this is how professional photographers do batch post-processing for clients. For those of you who have Instagram, you’ll be familiar with filters. Similar to presets, filters apply tonal and color adjustments to change the look and feel of a photo. 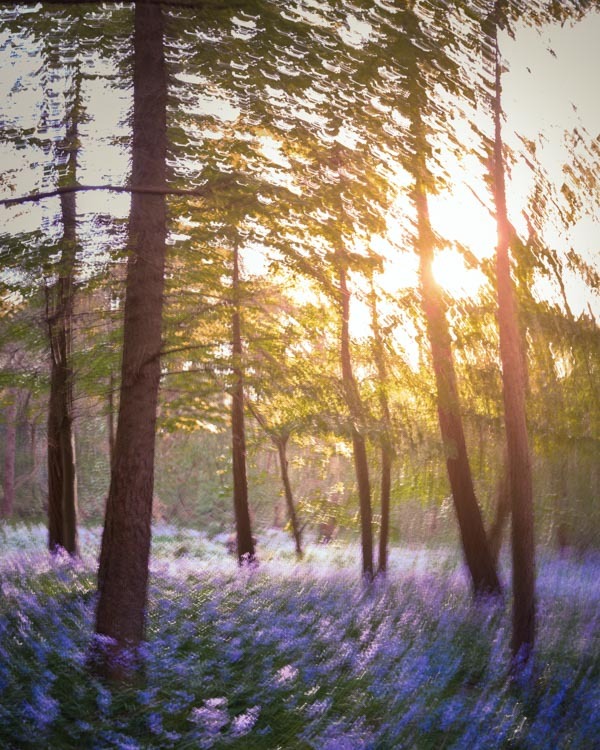 But unlike presets, you can’t tweak any of the settings and you don’t know what adjustments are applied to the photo. I know photographers who use presets and filters (such as LUT - Look Up Table) in their workflow but never met one that uses only filters. My point is, filters don’t help you develop as a photographer. 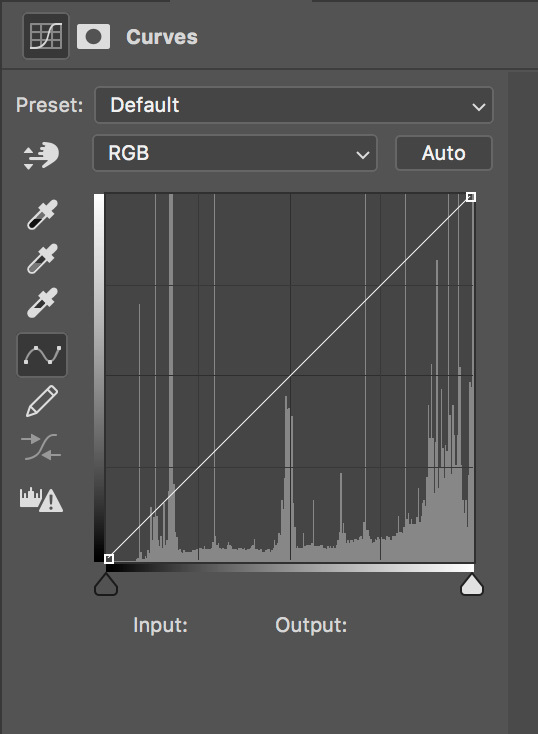 It may look nice and quick to apply but if the app/software changes or you lose your file, you’ll never be able to recreate the effect because you don’t know what adjustments are there in the filter. The ultimate million dollar question! When I first started doing HDR photography, I thought over-processed grungy HDR images look awesome. So all my HDRs were created that way. I posted them on Flickr and people liked it. But now when I look back at them, they look awful, I wonder why I did that and what was I thinking. Sometimes I feel the same way when I revisit photos that I’ve only edited just a few days ago. My point is, art is subjective. Your idea of a good photo is different from others. No matter how many people agree with you, there will always be some that disagree. One thing you should always remember is that there is no right or wrong when it comes to photo editing. Every artist has their own vision and every photo is different. How much adjustments should you apply is dependent on what the photo needs and how much effort are you willing to put in. My personal advice is to go ahead and do what feels right for you. Our photo editing styles evolve over time, so embrace the moment and create the art you’re proud of. If you haven’t got an image editing software and you’re serious about improving your photography, I'd strongly encourage you to get one. The gold standard in the industry is Adobe Photoshop and there are plenty (I mean PLENTY) of tutorials on how to edit pictures in Photoshop. Interested to learn but don’t know where to start? Check out this article where I show you how to get started in Photoshop image editing. If you want more advanced training, Phlearn is a good place to visit. Maybe you have your eyes on other software and that’s perfectly fine. The bottom line is, just go GET ONE and start editing! Your photo editing skills is directly proportional to the time spent in editing. How about where to find photo editing tutorial? You can start with my tutorial section or just search what you want to learn on the internet. In the latter, you can be overwhelmed by information overload. My suggestion is to search a specific topic you want to learn rather than photo editing in general. I have my share of photography courses and tools I've used over the years to get me where I am today. I share them in my resources page and I hope they will benefit you the same way they did for me.